A U.S. Open championship proved that Liz Kuhlkin belongs — just in case anyone was wondering. 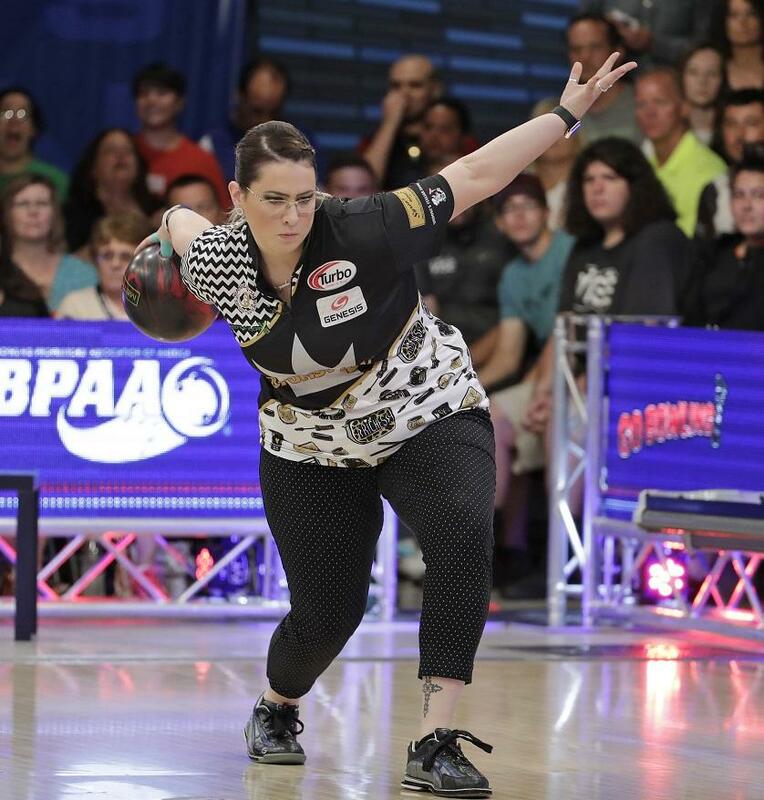 Liz has been on the PWBA Tour for four years, coming right out of college, and before that she’d closed out her youth bowling career with a national high league average of 225. Liz went to the University of Nebraska on a partial scholarship and was so successful there that she received a full ride for her senior year. Then she joined the Tour, winning a tournament and making one other TV show during her rookie season — very impressive. But the next two seasons were not so good, with no TV shows. She was kind of treading water, and had started to doubt her abilities, lose confidence and wonder whether she belonged. So she took a hard look at the situation, and realized she taken her success for granted, become complacent, and wasn’t practicing. She looked at all the women who had started to pass her up, realized what had happened, and rededicated herself. This can happen to anyone and often does; it kind of blindsides you. When things are going well, you think it will never end, and Liz had been on a five-year continuous rise with her success. 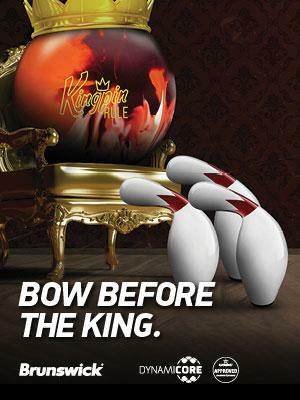 Kuhlkin has one of the strongest releases on the PWBA Tour. She cups her wrist more than anyone else from her set up through her release, producing a lot of revs and turn. Here, her left hand has rotated clockwise until her palm is facing the ceiling, making her left side firm from the shoulder through her hand. This firming up of her left side helps support her powerful hand position and later timing. That takes a lot of physical strength, which she has. When Liz went to Nebraska, she said she had a totally open mind and was ready to work on her game and do what the coaches said she needed to do. That’s a good mindset considering she was the highest-average girl in the country. A lot of times, bowlers think what they do is good enough and that they don’t need to get better. But that can be a trap resulting in not working as hard as they need to — and then their game regresses. There were five things Liz changed at Nebraska. In no particular order, they were her push-away, walk direction, hip angles at release, follow-through direction and learning how to spot bowl, which she didn’t do before going there. Now, thinking about all those changes, you might wonder how she was able to average 225. Actually, all the changes were simply refinements to a game that already had a strong foundation. One of the things the coaches had her do was change how she started her ball movement. Liz came into college dropping the ball into her swing on the second step of her four-step approach, and they changed it to Nebraska’s traditional long, extended push-away. Her push-away today is actually a two-stage movement. On step one, she moves the ball out and her arms are not fully extended. Then on step two, instead of letting the ball drop into the swing, after a slight pause she completes the push-away and her arms are fully extended. Her push-away and swing are still one step late at this point (just like they had been with the drop-ball placement), but the push-away enabled her to develop a longer, freer, straighter swing, giving her more power and better direction. Liz used to have a pretty big drift left, with her hips wide open at the release and her follow-through going left of her target line. Nebraska Coach Bill Straub’s three big things are to walk straight, swing straight and follow through straight. This produces a lot of straight lines in a game that holds up well under pressure and on the most demanding of lane conditions. Liz still walks left on her first three steps, but it’s actually good for her. Her first step goes three boards left, and her second step goes 10 boards left. On step three, her right foot goes directly in front of step two, and her last step/slide goes directly in front of step three. (This analysis was done with her playing outside; when she plays inside, the drift is less.) The key to her walk being okay while going left is her late push-away. This allows her to get her lower body out of the way on step two, and increases her lateral spine tilt. That enables her arm to swing under her shoulder on the backswing. If she were to walk perfectly straight, she would not be able to create the lateral side tilt, and her arm would be away from the body during the backswing and not under her shoulder. The next big thing Liz adjusted involved keeping her hips facing down the lane more during the approach and at release, which enabled her to finish with her arm and hand extending down the lane in the direction she wants the ball to travel. In the past, she tended to fall off to the right. Now, she is able to post her shots easier, and has a rock-solid finishing position. After experiencing success by making the aforementioned changes, I don’t think Liz will get comfortable with her game again. She is ready to expand her versatility to play well on more patterns, and she has the athletic talent to do so. These days, Liz Kuhlkin is working hard at expanding her tool box by being able to play the track better and farther right. She’s doing this by getting the ball to tumble end-over-end more, so it can hold its line better. Liz is good at playing in and going around the ball to open the lane, which is a big asset when the shot moves in. To do that, she has her wrist cupped, a position she is able to maintain throughout her approach and release. This requires a lot of strength, which she has not only in her wrist, but in her legs as well. Every bowler’s tool box is filled with different things, but there’s always room to add more. Work on making your game as versatile as possible, and you’ll find success on a wider array of lane patterns.